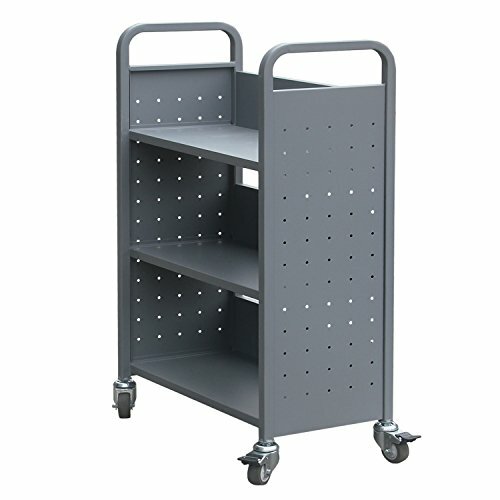 This book truck accommodates books, papers and reports and keeps these materials in place with flat shelves. Quiet Glide casters attach for an easy movement. Smooth rounded handles for a comfortable grip and perforated side panels for a contemporary look. Steel construction with durable powder coat finish, Some assembly required, instructions included. If you have any questions about this product by Hans&Alice, contact us by completing and submitting the form below. If you are looking for a specif part number, please include it with your message.